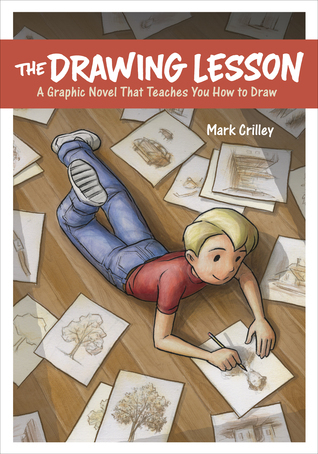 An instructional art book in narrative graphic novel form that uses the tale of one aspiring young artist and his reluctant mentor to impart easy-to-follow lessons on the fundamentals of drawing. With over 10 million views and growing, Mark Crilley's YouTube drawing instruction videos have an enormous worldwide legion of fans and have been featured on sites such as Yahoo News and Reddit. In addition, Crilley is an accomplished graphic novelist. Now for the first time, he pairs both strengths resulting in a one-of-a-kind art instruction experience. Through the story of aspiring, overeager young artist-in-the-making David and his helpful, but often flustered mentor, Becky, readers gain a grounding in the basics of drawing and rendering, along with a helping of laughs and poignant entertainment. Each lesson builds off the previous, with sidebars at the end of each chapter that direct readers to tackle some of the very same drawing exercises that David has just completed. The sequential art format provides the perfect vehicle for these step-by-step lessons, and the Pixar-esque approach to the surrounding characters and story ensures an enjoyable experience that readers will want to revisit again and again. Every so often you come across something that just amazes you. That is this book. In some ways, it's two books in one. You can read it just as a graphic novel or you can use it as how to book for drawing. I loved David's enthusiasm as he returned for each lesson and how each lesson built upon the previous ones. While this book won't teach you advanced drawing techniques, it's perfect for those who are just starting out, young and old alike. Follow along with David and as you master each technique, open the book back up and see what Becky is now teaching him! I may not be an artist, but this book is one that will happily be joining my other graphic novels on the shelves and one that I will recommend to any art teacher who will listen.